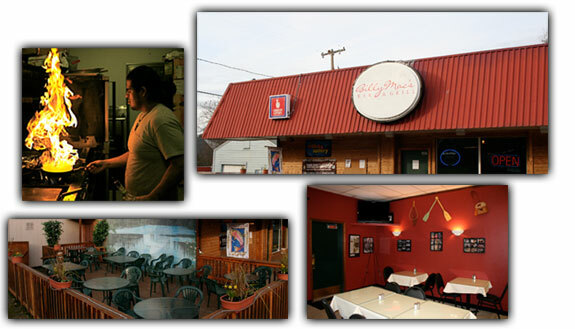 When you visit Billy Mac's Bar & Grill, you can expect to dine on the best Northwest cuisine in the area. Billy Mac's features exclusive, signature items from renowned Chef Billy McCallum, who has been a restauranteur in Eugene for 30+ years. Billy's focus on local, housemade exclusives brings guests some of the best food the Eugene area has to offer. Billy Mac’s Bar & Grill is a casual neighborhood pub located right next to the Little Y Market on the corner of 19th and Jefferson in Eugene, Oregon. Billy Mac’s features Chef Bill's exclusive signature items, small plates, fresh specialty salads, gluten-free, vegan & vegetarian items, hand scooped milk shakes and the best fries in town! Micro brewed beer, wine, liquor and non-alcoholic beverages are available as well. Home of the Beer Tower, enjoy a tower of beer right at your table, an incredible value! We have a great deck for outdoor dining too. Billy Mac's has 30 years of catering experience. If you are planning an event please check our catering website at Billy's Deep Woods Catering. Come visit us at Billy Mac’s today where great food is a tradition!